Australia’s peak body for doctors and medical professionals has given wind energy a clean bill of health. 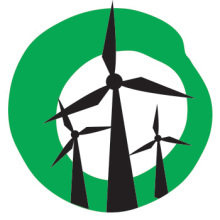 The Australian Medical Association has released a Position Statement outlining their view that there is no evidence wind farms harm human health. AMA Vice President and Chair of the AMA Public Health Committee, Professor Geoffrey Dobb, said the available Australian and international evidence does not support the view that wind farms cause adverse health effects. The AMA’s Position Statement comes just weeks after the National Health and Medical Research Council released the findings of its long-awaited review into wind farms and health–the twentieth by a credible health body. Will the Australian Medical Association’s statement be the end of the absurd ‘wind farm = health risk’ argument prosecuted by anti-wind farm campaigners? It should, but we’ll have to wait and see.